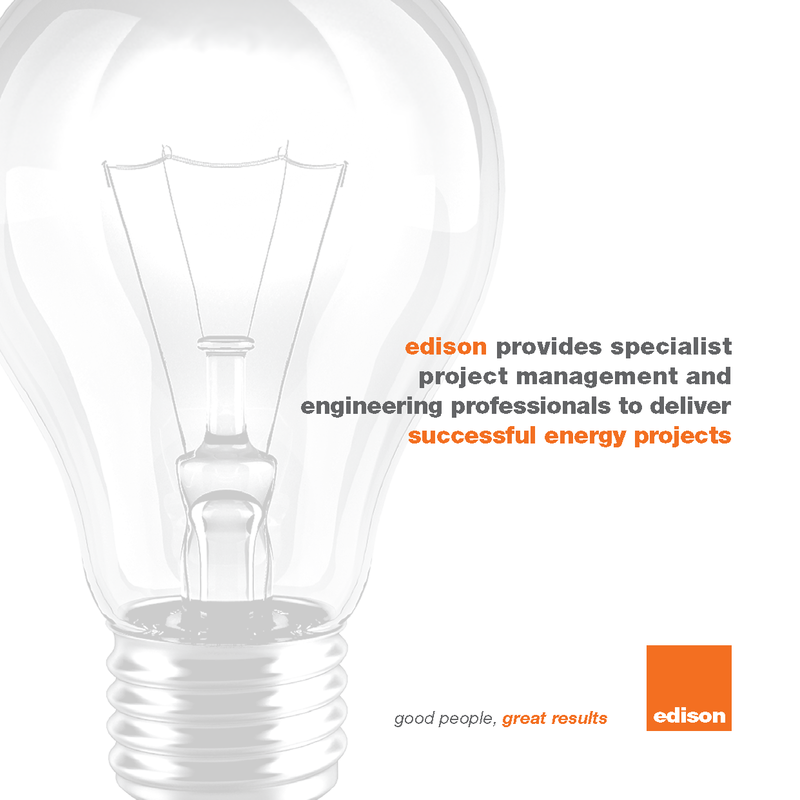 Edison provides specialist project management and engineering professionals to deliver successful energy projects. 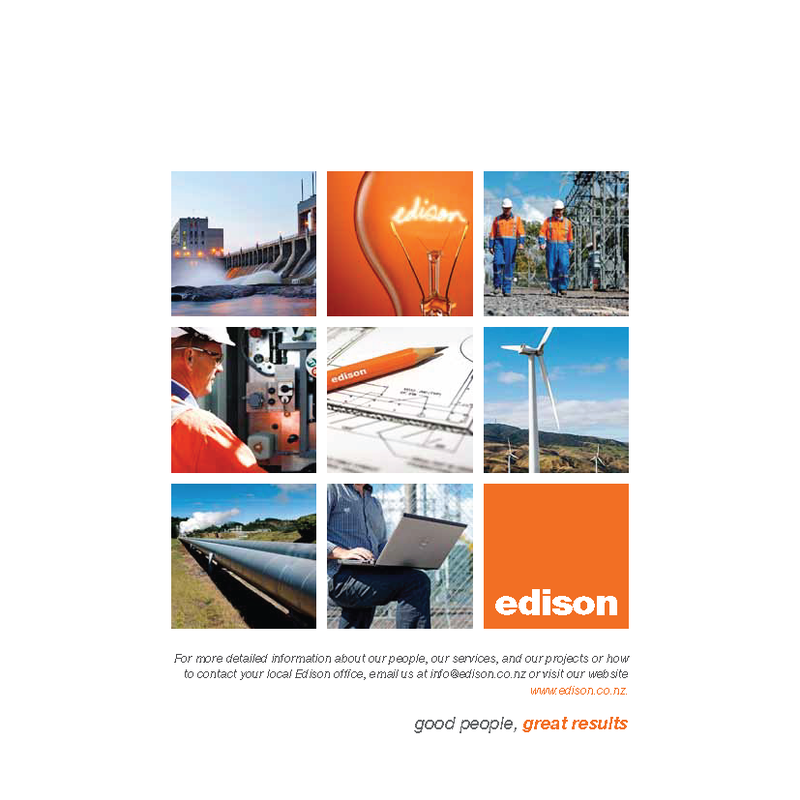 Edison - Good people, great results. The team at Edison initially approached our marketing strategist, Chantelle Laurent, with the view to growing the businesses into new markets. They also needed to keep attracting talented and experienced engineers to support the business's growth with the existing target market. The outcome to the strategic planning session was the development of a new value proposition and tagline,”Good people, great results”. 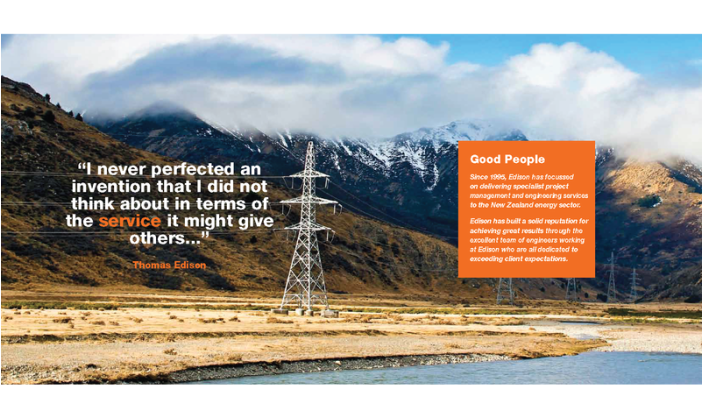 The comprehensive marketing communications programme included updating the logo and branding, the creation of a new website, a company profile brochure, a bi-monthly eNews and Case Studies, and a direct marketing campaign to re-launch Edison with their existing customers plus for use as a business development activity to prospects.